Robert Edward Burns, the son of Robert L. and Dorothy H. Burns, was born on October 27, 1935 in Utica, New York and passed away peacefully at home on Wednesday, January 16. He lived in eight states before moving to La Porte in 1960 after graduating from Blackburn College and the University of Illinois and completing service in the United States Army. He is survived by his wife, Jean, of 61 years, his son Christopher (Cynthia) Burns of Jacksonville, Florida, their three children, Casey, and twins Chelsea and Celeste; his daughter, Ellen (Drew) Talbott and their three sons Matthew (Melissa), Nicholas (Alexandra), and Adam. Bob had great love for and took great pride in both his children and grandchildren. His friends and family will remember him as a kind, loving, gracious, positive husband, parent, grandparent, and friend. He was preceded in death by his parents and his sister Judith and brothers-in-law, Jack and Jerry Eisenbarth. He began teaching in the La Porte Community School Corporation in the fall of 1960 and enjoyed a forty-year career as a junior and senior high teacher of Social Studies, English, and Driver Education. He retired in 2000. For a number of years he coached junior high athletic teams and officiated a variety of athletic events. Both before and after his retirement he was an enthusiastic volunteer and tutor and played an active role in church and community organizations. He volunteered at the Kalamazoo Aviation History Museum and the La Porte Hospital and served as a mentor at Handley Elementary School. He was a volunteer at the County Historical Museum and served on the La Porte County Historical Society Board of Directors, was a member of the La Porte County Public Library Board for sixteen years, was a board member and officer of the Friends of the Library, and a member of the La Porte County Hospital Auxiliary. 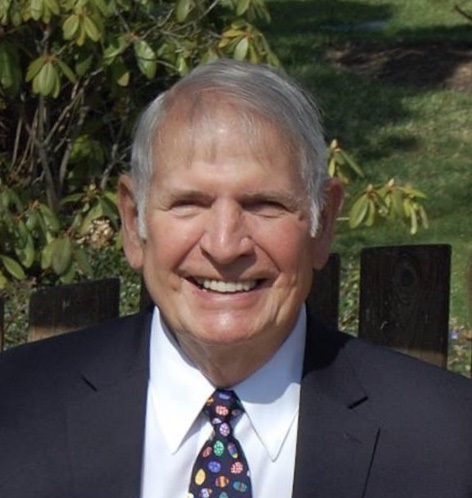 Bob loved listening to music, reading, traveling, rooting for the Cubs (since 1945), gardening, attending grandchildren’s activities, enjoying Chicago and Stratford theater and local cultural activities, and being an active member of the community. Since 1960 he has been a faithful member of St. Paul’s Episcopal Church in La Porte, serving as warden and vestryman, usher, and community meal volunteer. Funeral Services will be held on Saturday, January 26, 2019 at 11 a.m. at St. Paul’s Episcopal Church, 1000 Michigan Avenue, La Porte. The family will welcome visitors at the church prior to the service from 9:30 to 11 a.m. In lieu of flowers, memorial contributions may be directed to St. Paul’s or to the charity of the donor’s choice. Frank L. Keszei Funeral Home, Essling Chapel is in charge of arrangements.